Free high speed WiFi throughout your commute sounds more like a wishful thinking than reality in India. No wonder we were not expecting a lot when UberWiFi was announced. Initially it sounded like a promotional activity from Airtel for their 4G launch. However, it has been some time and UberWiFi seems more like a permanent thing. So we decided to test UberWiFi and see if it’s useful in the real world or just another gimmick or promotion. We tested UberWiFi in Delhi and Mumbai. How UberWiFi works in India? In every Uber cab that is marked as UberWifi, the driver is provided with an Airtel 4G hotspot. That hotspot is connected to the USB charging port in the car. You will need to ask the driver for WiFi and he or she will hand over a paper to you with WiFi network name (SSID) and its password handwritten on it. All you need to do is just find the WiFi network on your phone or laptop, use the password, and you are connected. Simple. Are there any charges for UberWiFi? No. Nothing extra. Even though UberWifi appears as a separate tab to book in the Uber App, the prices are essentially same as non wifi cabs. So if you book an UberX>UberWiFi, the charges of UberX are applicable. UberWiFi speed is actually pretty good. We were able to watch videos, download songs, update apps from Play Store and send attachments. Though that largely depends on the Airtel 4G connectivity at the place you are in. Most of the times, it was good. Of course, being a mobile hotspot, there were network dark areas where there was no connectivity. However, we were quickly back in 4G zones. 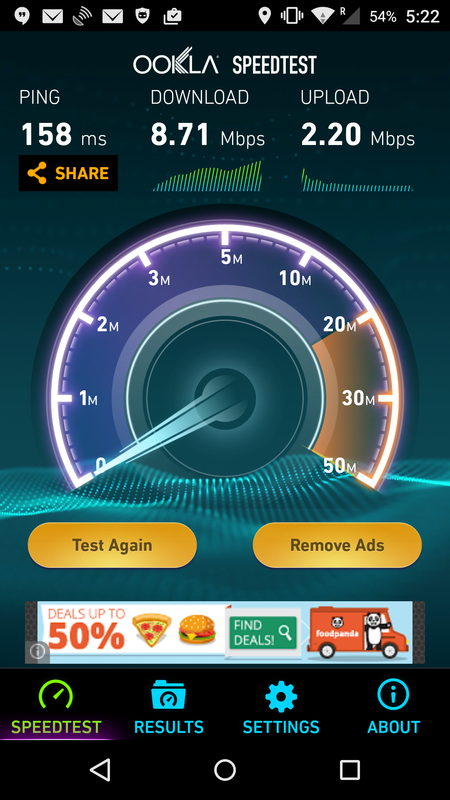 UberWiFi speed test in Delhi. If you don’t have an Uber account, you can get first ride free (upto Rs.250) by asking any of your Uber using friends to refer you. Alternatively, you can also use our referral link to signup or use code uber4delhi when you register for a new account. This code works across India.